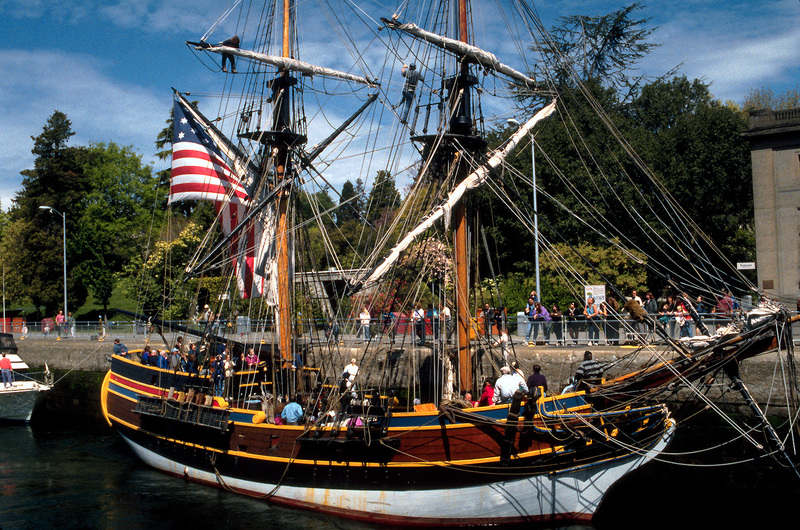 Head to Coos Bay/North Bend this weekend for the annual festival celebrating ships of a bygone era. The tall ships are coming again! They will be hosted by Coos Bay and North Bend from Thursday, June 1 through Sunday, June 4. You will be among those getting a rare view of these beautiful ships. And, you will be able to tour them, partake of the educational programming, food, beverage, entertainment and even sail on the ships. A fun day for everyone! You will need a ticket to sail or tour the tall ships. 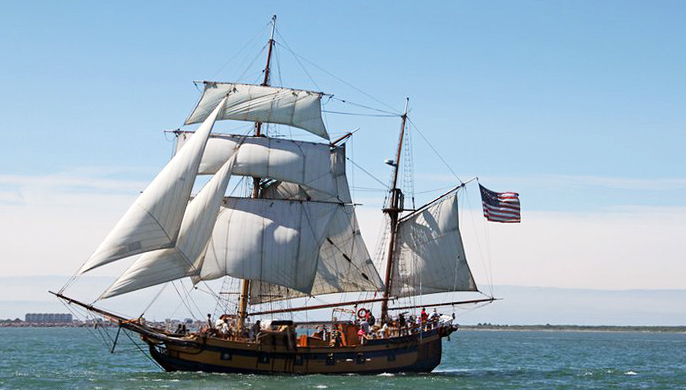 Don’t miss the Parade of Sail on Thursday starting approximately at 2:00 pm. Festivities on Thursday start at 11:00 am until 7:00 pm. The following three days are from 9:00 am to 5:00 pm. This is an exciting and rare event. Don’t forget the kids as they will love the pirates. In honor of this event, we are re-posting our original blog about the tall ships complete with photos of the 2 main ships that will be at the festival. Keep reading! 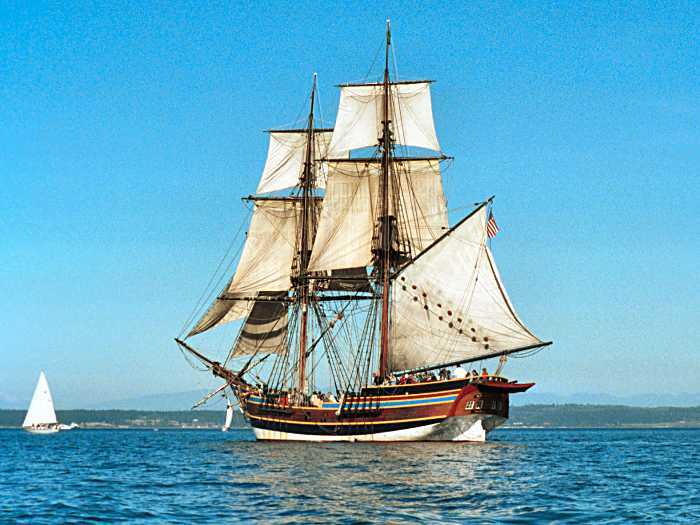 Time for the arrival of the Lady Washington and Hawaiian Chieftain in the port of Coos Bay, Oregon. 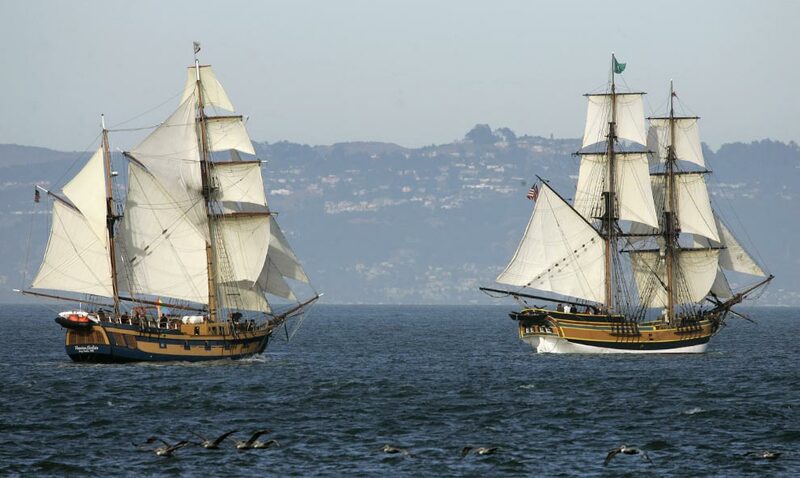 These two regular visitors will arrive at the harbor on May 1, 2015, for a 12-day stay at mooring on the public docks. From Umpqua River Haven it is a short, 45-minute drive down the beautiful Oregon Coast to Coos Bay. These two beauties journey here for the annual celebration of the local rich maritime and cultural history of the sea. 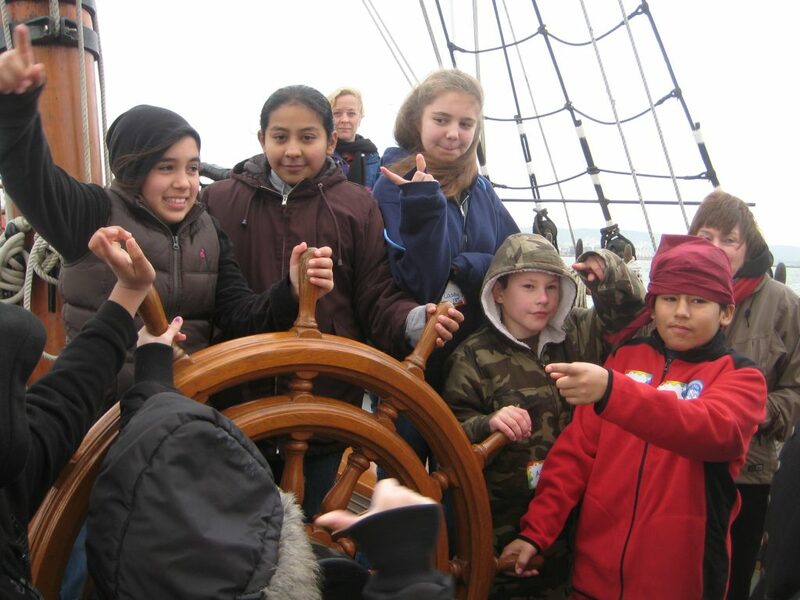 Visitors have a rare opportunity to experience what life was like onboard these historic sailing ships, see reenactments of battle sails, passages and a healing ceremony with local Native American Tribes, along with local festivals. Venture down to the Coos Bay public docks/park on Highway 101 during early May and you will find school children touring these fine ships. Sign up for a tour but do it quickly as they are sold out fast. You can follow the journey of these majestic vessels on Facebook: facebook.com/GHHSA and Twitter: @graysharborhist. The adventure never ends with the crews dressed in period costume. Their expert guidance for both school children and adults is informative, educational and entertaining. It is fascinating to see all the rigging and practical features when these lovelies are moored with sails furled. And to note the gaps in the toe rail that allow water to flow off the decks. Master and Commander at the Egyptian Theatre, Meet and Greet with Hawaiian Chieftain & Lady Washington Crews. Would be wonderful to be there to take in all of the activities.